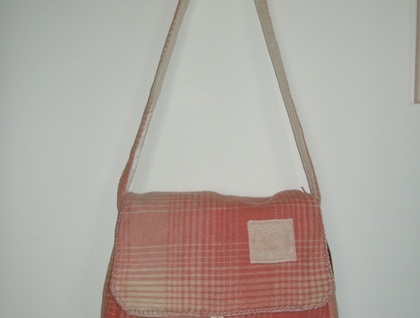 Pure felted New Zealand pink tartan wool blanket satchel with original woven label, this bag has a Roslyn Health Blanket label. The closure is a NZR metal button. 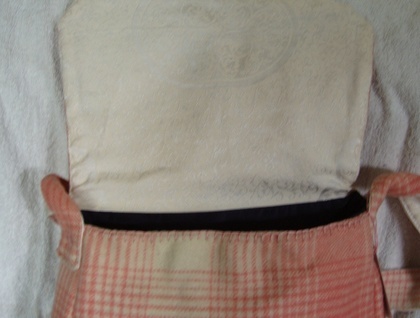 The flap and the front edge are embroidered with blanket stitch. The flap and strap are lined with a heavy vintage damask napkin; the body of the bag is lined with heavy suit lining and has a 2 compartment pocket which is reinforced with a mother of pearl button. 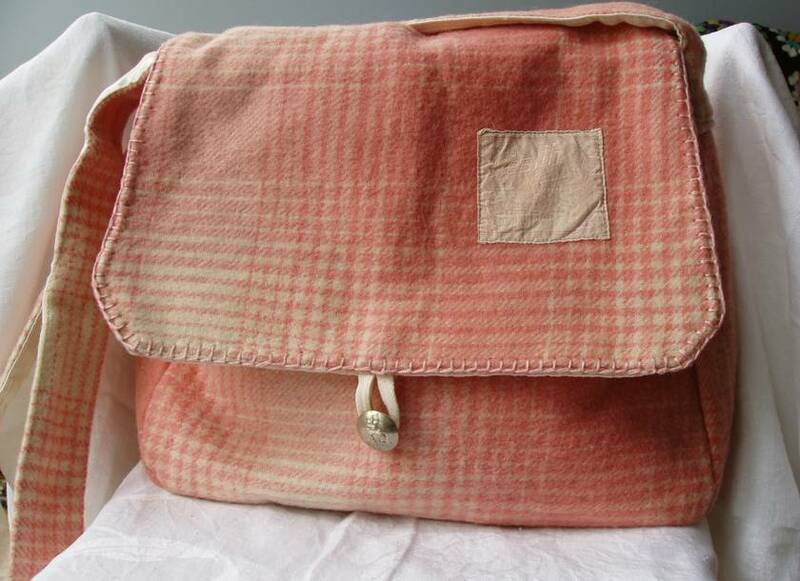 Each bag is reinforced at the front edge, is labelled 'made of stars' and numbered, this one is #16 and measures 33 cm at the top, is 33 cm high, the gusset goes from 7cm to 10 cm at the bottom and the strap is 97 cm long.